Let me give you a quick overview of how I bring project after project to a successful end. I call it the SEED System and you can’t find it anywhere else. It is a 4 point system that works together seamlessly. SEED is an acronym and each letter represents an important part of the overall system. 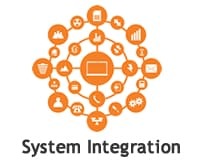 System Integration – A critical key to running a successful project is to have the steps mapped out. There are hundreds of documented steps, double checks, and procedures that are followed by your Project Manager and their team to ensure the success of your project. At times there can be a curve ball or surprise introduced into a project but by using System Integration your Project Manager brings your project back on track and keeps it going smoothly often without you even knowing something was amiss. E-Production – You’ve heard of Email and E-commerce. Well, we have developed E-Production. I built this one-of-a-kind system from scratch which took years to develop. Your project is run through my system which connects me to the factory, designers, shippers, staff, and all other parties involved in getting your toy made. There is no risk of an email getting lost or of files being missed because my system connects everyone involved securely together. 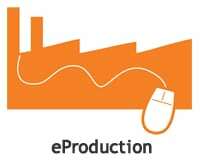 E-Production is a custom online software package developed over the years costing over $200,000 to complete. The software allows your Project Manager to communicate effectively with the dozens of professionals involved in your project. It smooths out delays and avoids mistakes made in phone calls and emails normally used to communicate with the various locations needed to piece a project together. 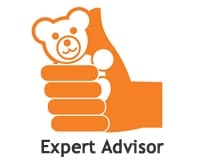 Expert Adviser – Rob Bishop, the owner of this website and Binkley Toys Inc., has over 24+ years of experience in developing, designing, and manufacturing stuffed toys. He started making the toys locally which gave him first hand knowledge of every step. His greatest strength comes from saying this simple phrase; “I don’t know, let’s find out!” This simple statement puts the Binkley Team into action to solve your design needs, and get the right answer for your project. We tap into hundreds of experts located all over the world that are ready to jump when asked. Your Project Manager is your direct link to Expert Advice and timely solutions. 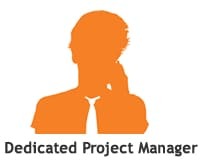 Dedicated Project Manager – Your dedicated Project Manager (PM) is your main contact throughout the life of the project. They are on your side and will be the one implementing our complex and detailed SEED system to make your project a success. Our clients find their PM to be an invaluable asset because when a thought comes to mind you simply pick up the phone or send an email and one person who understands your project from start to finish is there ready for you. There can be obstacles between you and your achieving your goals. It is best to have a Dedicated Project Manager on your side when the going gets tough to ensure success.